Following on from “The First Leviathan” – The Kingdom of Pride. The situation was coming to a head. From the words of the intruder, known simply as Ikki – a servant of the Lord of Envy, he was on a fact finding mission, that was to catch the culprit or murder the one that had slain the former head of Envy. The simple destruction of the golden gate the first time, along with further ill words being thrown around were not helping matters at all. Time for talk had come to an end. There was no correlation between whispers that the Pride kingdom had anything to do with Envy and the untimely death of the former Prince. To know the truth, one needed proof. Proof that would not be obtained between the walls of the Pride enclave. While the Prince himself was beyond annoyed by this stand off before him, the genie had chosen to use his tongue once more to bring the stale mate to some sort of conclusion. At the same time, he also engaged in bringing back that same gate that had been destroyed oh so easily. The Naga chose this moment to make his move. The great green eyes of the snake closed tight as the fabulous jewel that rested between its eyes was absorbed into its own skin. With that dissappearing from view, the snake began to morph into a full python. It’s body beginning to turn left – unravelling the massive coils as it created a perimeter around the Genie and the intruder. This ….circle would pass before the Prince of Pride as a method to shield him, whilst at the same time preparing a diversion. When tail met head, the head of the massive naga reared up and it was then it did something very unusual. The jaw of the snake slackened, allowing the depth of the snake’s throat to be seen. But there was something in the serpent’s mouth now. Right at the back of the throat. One thing about the Prince was he favored his own reflection, being a proud fellow. This meant that the Throne room itself was dotted with many mirrors and even small cuts of glass that was reflective. The naga chose to harness his environment to do a spectacular feat. A loud and terrible hiss came from the naga as the jewel was activated. The power of the jewel was a brilliant show of light, that rocketed out of the naga’s mouth and bounced off every single mirror in the room. This created a huge criss cross affect of light. Blinding enough to make it difficult to see, and possibly create a reaction from the invader to fall into the newly constructed Golden gate. Ikki had been listening to them speak politely, and he didn’t care that he had offended the Prince of Pride at all, if he had then he wouldn’t have done it in the first place if he had to be utterly honest with you to the full degree; however, he wasn’t surprised that the man’s minion was callous enough to actually assume he had the ability to say Ikki had started the fights. He was defending himself from guards who took it upon themselves to attack him when he was being peaceful at first, and normally he would have exploded from that and snapped back at the male, rose his sword against him and challenged him; but it was obvious that at least one servant of Pride knew how to defuse a situation. Thankfully, Ikki took the hint to that and instead of fighting, he simply covered his eyes and decided to head through the portal as fast as he can… teleporting out of the place as he got the hint. The nagas’ light show didn’t come as a surprise to Astaroth, he’d seen it happen before and it just so happened that his eyes weren’t so light sensitive as most others. A convenient trait in situations like these, he didn’t get blinded as easily and usually wasn’t all that surprised by it. He felt the intruder’s presence fade and disappear and shifted to a more peaceful appearance as soon as the man left. A different one from before as he wasn’t all that aware of his shapes and usually forgot if a lot of things happened in between. He usually blamed it on his lack of an appearance. “Is it just me or have I been threatened today by my supposedly faithful servant and then again by some [b]servant of a prince I don’t think I’ve even met in addition to being maybe accused of killing said prince and being a brainless child and a coward? [/b]” he asked as soon as the light dimmed down to what was normal for the throne room. “Because I don’t really understand what just happened.” he sighed. This incident, though, acted a little like a wake up call. Astaroth needed to know more about what was happening in hell. It wasn’t enough to sit on his throne on this island even if he didn’t get to go anywhere. He might be stuck, but he was the only one. Everyone else who inhabited the island could leave at will and bring information back. He’d have to send out spies of his own. Make a league of spies specially chosen by him for skills that would make them nearly impossible to spot. He’d choose someone to represent him in the other kingdoms if he was ever invited somewhere and take part in everything he possibly could take part in. The best thing he could do, however, was to find a way to break the seal that held him on the island so he himself could travel when he needed to. “Salem, find me a raven.” he smiled at the genie and waited for him to leave before turning to the nagas. “How do you think is best to send a request to the witches? I’m thinking some of them may know about binding angels.” Astaroth did know almost every sigil there was for warding and several ways to seal angels, but he’d never thought he himself would be stuck as he always thought he’d stay in heaven and help others with healing or learning. “I also require to meet the stealthiest of my legionnaires. I think I need to set up a network of spies throughout hell so that I can get information that would otherwise be lost due to my unfortunate living arrangements.” he suggested with a smirk. “I believe I need to participate in this game of power. I have spent too much time on moping, don’t you think?” he shook his head as he walked past the nagas and gestured for him to follow. “I’m sure I have plenty of weapons to share with the soldiers and all of them are good, many even crafted by the angels. I believe holy items work best on demons, don’t they? I will take a few for myself but we can distribute the rest of them and then make sure the armoury is stocked of enough weapons so that every soldier will have at least one.” he walked from the throne room at a brisk pace towards his own private armoury of weapons that would eventually go dull unless he used them, or someone else. “Oh, and don’t forget. I don’t like it when I’m threatened by people around me, especially not when it’s a death threat for when I show weakness. Give only the neccesary information to Orimitsu. He is, after all, only supposed to be my mount.” he had noticed earlier, just chosen not to deal with it. “I do believe the way in which he spoke is not a way one should speak to his master, am I right?” he had always liked the nagas more anyway and now the genie as well even if the male didn’t seem to change his attitude much from neutral, but he clearly had a sense of humour. Something Astaroth appreciated. He suddenly stopped walking about midway to his room of weapons. “Do you think that even if I’m the only one with this stomach ache, that I should have a doctor come for a visit just to get a second opinion on my health? You know, before we go to the extremes of preparing for an attack that might not even be coming.” he suggested. As an angel with healing powers, it was unlikely that he missed a sickness in his own being. But there was always the slim chance that he did, right? “Yes, I think that might be wise. Although it is highly unlikely that I missed it. Can you send a messenger or do we have one situated here?” he asked and then shook his head in disbelief at his own lack of knowledge for his own troops. He definitely needed to step up his game. With the combined efforts of the Naga and the Genie, the disruptive visitor was sent packing through the Golden gate. As soon as the Gate turned back to sand, the Naga closed it’s mouth and the light stopped abruptly. Alaric’s head wobbled from side to side before the jewel reappeared within the Naga’s forehead – the creature now taking on the human like torso once more, but the body was still in the form of a circle that had been used to protect the Prince. it would take a few moments before the Naga was able to shrink back, but in this time he noted that the Genie had managed to find a pair of sunglasses to protect his sensitive eyes. The naga had forgotten about the Genie’s condition, but at the time he needed to create the light to help reinforce the fact that the invader needed to leave the Prince’s castle. The glasses did give the Genie a comical appearance, but as the Prince was still very upset by the events so far of that day, Alaric felt it unwise to try and make “light” of the situation. Salem was already speaking to the Prince about theories as to why he was now a target of interest by the likes of Envy. Though from Alaric’s understanding, the character with the cocky attitude was in search of facts and no doubt he would be travelling to all kingdoms, not just Pride. You had to remember, there were seven kingdoms in Hell, and as it stood, Astaroth knew very little about his fellow Princes and Princesses. If he was to stay on top of things, he needed to know more of what was happening beyond his walls. His address to the Naga, after sending Salem off hunting for a raven, said as much. “I wouldn’t go as far to call it moping, M’lord. Your hands are bound since you are unable to leave the Kingdom. So naturally, I can see why you might find all this frustrating.” Alaric spoke with a refined air, as he slithered alongside his Lordship. “As for the Witches, they are found in the Lands of Dyre. Led by Lavinia the Elder. As with other kingdoms, a summons could be done by raven, or perhaps you could engage Salem’s magic in order to speak to them another way.” It was not the Naga’s ability to speak telepathically to others on another plane. Every creature has its limitations. All he could do was make suggestions. Approaching the armory, the Prince wanted clarification on whether holy items could repel demons. “I believe that they would be useful as weapons in the case of a demonic invasion. The question is just how big an invasion force it is. As you have said before, you wish to send out a spy network to judge just who is the biggest threat to your kingdom. We still don’t know who it is that has upset your dreams and your thoughts, M’lord.” As it stood, they knew that Envy was in search of the one that killed the first Leviathan. The hound let off the Prince of Envy’s leash had helped to discount that kingdom. That left the possibility of either, Wrath, Greed, Gluttony, Lust and Sloth being the warmongers. Something else was still troubling the Prince. The words or threats that came from his Dragon – Orimitsu. The dragon did not like the Prince’s behavior, but in making a death threat over it there was now distrust between the Prince and his mount. Astaroth decreed that the dragon was only to be given limited information in future. The Naga bowed at the Prince’s words. “As you wish, M’lord.” Alaric didn’t want to have to go into that conversation again, after everything that had happened that day so far. It was time to move forward and get on with the job of ensuring the Prince’s protection from external forces. The fact that the Prince was feeling ill in his stomach however, was something that needed tending to as soon as possible. The Naga bowed once more, before slithering away in search of the Kingdom’s medical center. “It’s nice to hear that. Please go fetch him. If this really is nothing but an upset stomach, I don’t think we’ll have to defend ourselves from anything. After all, my predictions aren’t always…” he paused to sigh and roll his head. “Predictable.” he smiled and waved after the naga. He’d attend to the doctor first and then take inventory on holy weapons later. For as long as there was an illness, the possibility of an invasion decreased considerably. At least the horrible outcome of his or his companions’ death. That knowledge would ease his building stress for the moment. Astaroth was gazing out a window where Alaric had left him when Salem approached. 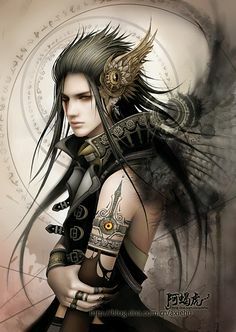 He turned around with a smile and raised his arm so that the bird could hop on top it so that Astaroth could pet it. He always made sure everyone were as sated and comfortable as was possible, even the messenger birds. After all, if his subjects were happy, they were more likely to do his bidding. Even if it was an unreasonable request every now and then. “Thank you, Salem.” he gestured for the genie to follow. “Now, it has just come to my attention that another raven will be needed. Not, however, if you are capable of getting me in touch with a powerful, knowledgable witch that might possibly help me with my confinement problem.” he didn’t know how it could be done, but the genie’s connection to magic might be of help in the matter and was probably what would make it possible for him to connect with users of magic. The fallen angel was walking towards his study, his private quarters and personal library. He was most at ease in places of knowledge, so he’d prepared a nice corner with comfortable and simple beddings. That way he could be with his books all hours. He, of course, had another room he used on occasion. One that was as lavish as one would imagine a prince’s bedroom to be, but Astaroth wasn’t someone that took pride in expensive surroundings. He enjoyed the beauty of things and the expensive stuff was more often than not far too loaded to be considered beautiful. Once inside his study, which was a medium sized room just inside the library, he headed immedietly for his desk which was, as per usual, filled with parchment and scrolls on his current research. Currently it was a study of human morals relating to rulers in the human world that participated in conflict between nations. Before he’d tried to study the morals of demons and to find ways to predict them, but had discovered that there were hardly any previous moral codes for demons to follow. He’d given up the project and instead turned to humans, which were a delight to study. Astaroth tidied up his desk by stacking the parchment and rolling up the scrolls to place in a box. Everything was tightly organised, marked or stamped so that it was easy for him to put it back or pick up where he left from. Each project was labelled by colour and the colour painted in a book with a short summary of the project and a list of every source he used. Older colours often had observations listed as a source. Something that had disappeared from the book after Astaroth was locked up. A reddish black marked the change of the prince’s freedom, the only colour in the book without a summary for the project was not finished and wouldn’t be until he was free from his prosperous prison. ‘The prince of pride, Astaroth, requires your services at pride castle. Send word about your arrival date and a flag will be provided for your safe passage over the lake.‘ he wrote in fine writing, each letter clear so that the message would be received without problem. He attached the message to the raven and sent it off. “Now, back to witches.” he stood up and rearranged everything as it was before so that he could easily pick up his research whenever he had time. “Would you have any idea who would be best to contact and know of a way to contact them efficiently?” it wasn’t often that Astaroth became serious, however, the situation called for it. Even if he wanted nothing more than to drink a tasty beverage with friends and attend to his garden. Alaric had left the Prince with his next closest adviser – the genie, to go in search of a medical practitioner within the grounds of Pride Castle. Surely they had a few to call on, as the Prince should have a private physician on staff for such emergencies as this. The only problem was that the Prince had visions, dreams as well as the pain in his stomach. The Naga was no medical man, but he knew that this was not a simple quick fix. Going down into the bowels of the castle, he came across a series of rooms where soldiers and the like were treated for wounds, and battle injuries when they were practicing in the arenas and training pits. As a stretcher was brought in by two hefty looking fellows, and a soldier lay upon it with a sword sticking out of his gut, Alaric knew he was in the right place. With blood spurting out and onto the floor, it was easy for someone to slip. One thing that Alaric noticed was the lack of hygiene and the dated tools of trade that were on the walls. The Spanish inquisition had more modern equipment. In the centre of the next room, a woman wearing a nurses uniform was trying to replace a man’s eyeball with a wooden one. The man was grunting and groaning, thrashing about, as an over sized orderly tried to hold him down. “Stop ya fidgeting, ya daft git. This will only hurt for a bit.” The squishing sound of her fingers working in the replacement eye was enough to make a man gag. She obviously knew what she was doing, but her bed side manner was lacking. There was no way that the Naga could present this woman to the royal court. She was covered in blood and entrails, her hair swept up into a loose bun, with large bottle like glasses that sat on the end of her nose. Finally the eyeball was firmly fixed in place and the nurse shouted out. “Err….excuse me, Madame. I come from the Prince with a request for relief to his stomach pains.” The Naga was still partially in snake form, but the torso was that of a human. He didn’t mean to scare the woman, but she did give a yelp in surprise and fright. “HORRIBLE HORNY TOADS!…YOU SLITHERING SCALY SNAKE! 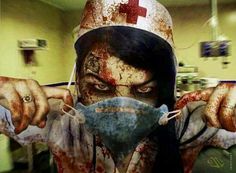 FANCY SNEAKING UP ON A POOR WOMAN!” The nurse clapped a hand over her right bosom and with her left hand she reached for her work station. It was not the kind of reaction that the Naga was expecting, but he tried to bite his tongue. “My apologies if I startled you. I merely seek treatment for the Prince.” Trying to reinforce the reason for interrupting her surgery. The nurse came to her senses when she realized that the Naga worked directly for the Prince himself. She let out a huge expulsion of air before muttering under her breath and going over to her medical cabinet. Taking out bottle after bottle, opening lids, sniffing the ingrediants before starting to make a herbal remedy with the Naga waiting in behind her. The smell wasn’t very nice, but then again neither was the surgery. A few grunts and the occassional sneeze, and the woman then turned around with a bottle of purple coloured liquid. “A spoon full before each meal, without fail and he should be fit as a fiddle in two days.” The nurse sure of her potion and that it would have the desired affect. Taking the bottle from the nurse, the Naga raised an eyebrow. He had to wonder if there was anything he should know about. Like side effects. He cocked a brow as the nurse set to get ready to work on her next patient. An amputation. “A little nausea. Nothing he can’t handle. Now off with you, gotta hack off this boy’s right leg.” The nurse shooed the Naga as she held a huge saw in her hand, the patient letting out a blood curdling scream. Astaroth furrowed his eyebrows in dislike at the sands in his study, he didn’t trust anyone to clean in there other than himself and would hate to have to sweep the room to rid it of leftover grains of Salem’s golden sands. However, as the golem began to rise and take a form that Astaroth assumed was his own at the moment, his frown turned into a smile that he turned towards the genie. “That is magnificent.” he was astonished, as was shown when he walked around the thing and examined almost every grain on it’s surface. “I sure hope it works.” he wasn’t certain it would as Astaroth’s binding spell was quite potent. Although, on that thought, he could meditate and look at people beyond the barrier. Perhaps he would be able to let his consciousness travel with the golem as he could whenever he looked at the past. “The moment I…” he trailed off as he lifted the crown from Salem’s hands and examined it. It was quite beautiful. “I must ask you to guide the goldsmiths along whenever I’ll need a crown, this one is quite beautiful.” he smiled at his friend and lifted the crown to his head before he stopped and lowered his arms. “I must warn you. I do believe that when my consciousness disappears with this golem of yours, my body will most likely turn to that blank nothingness like sometimes happens when I sleep, right? So, as I’ve said numerous times before, please don’t move me or look at me too much. Sight is a little bit tricky to bring back.” he was of course referring to the blank whiteness that was his real, but not so much, appearance. The appearance of someone without one. It was a matter that easily confused people. Much to Astaroth’s annoyance, although sometimes amusement. 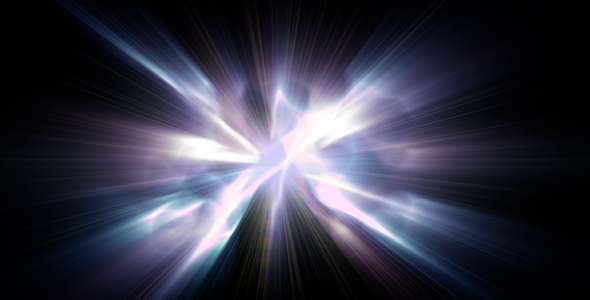 The white was bright enough to blind, much like Alaric’s light show earlier, only focused to one spot and constantly moving and changing due to the lack of a definite form. If he were in heaven without a form, it would hardly matter, but he had discovered that demons and others than angels were sometimes weak to this particular kind of light and thus sometimes turned out blind. In the worst cases, their eyes burned. Astaroth liked neither outcome. Eyes were tricky to make and fix. So many details one had to look out for. “Now, I best get going. Do make sure no one gets in, will you?” he asked kindly before putting the crown on. It didn’t seem to work right away and Astaroth was about to speak when a searing pain passed through his head as his consciousness when his mind tried to break through the barrier. Apparently his actual mind passing through in a golem was not allowed. He let out a shrill scream and immedietly gripped his head tightly. And then he was gone. As was obvious when his body collapsed to the ground and his clothes and golden locks faded to white, wings protruded from his back and everything started flickering and moving. What was lying on the floor was a hint of a winger humanoid form. Looking at it for one millisecond would maybe show a fat angel and the next it would be a childlike winged form. Never the same, never any details, only hints. Remnants and never the ones of his real appearance. It seemed to Orimitsu that Astaroth wasn’t very bright when it came to when a statement was given to him in differing situations, including at that moment when he had been threatened; he brushed it off as nothing, however, he never realized that this wasn’t just a mere threat, it was a damned promise. Orimitsu wasn’t afraid to brush away weakness and if it came down to it, he would do so with extreme prejudice, no hesitation to kill whoever got in his way; that was the way this place worked and if they were to survive in this place then Astaroth would have to stop acting like a child. And it seemed that Alaric agreed with that much if not anything, which was another reason that Orimitsu respected the Naga, when it came down to it they didn’t have time to wait and with the Naga agreeing with Orimitsu, the dragon turned and followed him; it would be better to send out more spies and he knew it. But maybe it would have been better to have stayed, for as soon as the Dragon exited the castle, transformed and then took off into the sky; things got interesting for the two in the throne room. As the two may, or may not, have been conversing about what was to happen with the situation; there was actually a silent battle making its way straight for them one step at a time, or maybe one Flash Step at a time as the combatants went down one by one with a single male moving about among them. The battle was a silent one because no guard that stood against this male with burning orange hair was able to keep up long enough to make a sound, they stood and they fell in the next instant, nothing but rabble to him without any real strength to stand against a fighter of his level and power; they had no control or power over him nor could they. Once he reached the throne room however, a massive brute of a man decided to stand in his way, and Ikki narrowed his eyes momentarily before a sinister grin spread over his face. In the next moment an eruption of Demonic Flames blasted through the door, blowing it from its hinges while also revealing just who it was that had done this; as well as revealing the corpse of the guard fall to the floor, having been cut vertically from head to toe. Ikki looked down at the creature with a sneer before taking a single deep breath, scoffing as he spoke to himself. 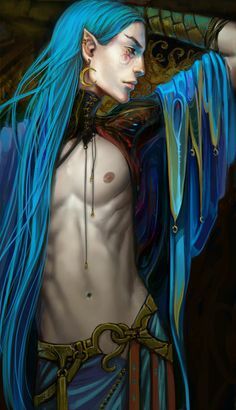 With a disappointed sigh, Ikki turned and looked to the two on the end of the throne room, expecting them to actually be in shock; however, Ikki was already on edge with his senses, using his connection to spiritual effects to sense any change in the atmosphere alongside his senses. He wasn’t a fool, he’d heard of Astaroth’s power, while he didn’t fully understand it he did know that it was trouble and he was waiting for it. Rumors were a powerful thing if you could find the right ones after all, and the more he heard the more he knew, whether it be true or not; the truth can be gleaned from lies. Astaroth nodded. He trusted his advisors. He’d go later and get his own collection of weapons and hand the ones he wouldn’t use to the higher ranks. After all, he had quite the collection of weapons he rarely got a chance to use due to his unfortunate arrangement. He believed it was something like what the humans called house arrest. Only, his was quite permanent. He’d have to see if he could somehow trick his attacker into destroying the seal or barrier or whatever it was keeping him there. “Hah! he was brought out of his thoughts by Salem’s joke. 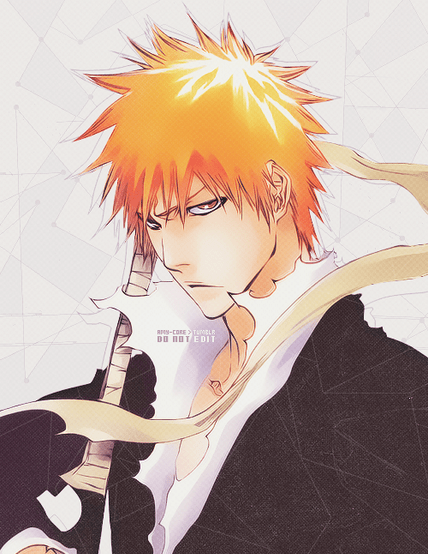 “Maybe I should just take the form of females from now on. See how they like that.” he grinned at the genie and looked for the other two, but found that they had left while he was thinking. He would say they had been rude, but he had an inkling of a feeling that at least Alaric had excused himself. His head turned towards the door at the sudden intrusion of heat and uncomfortable flames that made Astaroth’s skin crawl, in the literal sense as well as he was in the process of answering the threat by shifting his form to something more suitable to deal with said threat. Black feathered wings held out to seem larger and a hand on a hilt of a sword that had suddenly appeared. Astaroth did not dilly dally when it came to dealing with threats on his life. 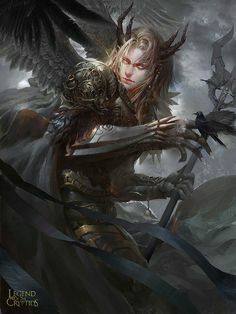 It had only seemed like a flutter between the blue haired elf to the black winged angel when he had in reality hopped to his armoury for a short second to grab the first sword he found. “Now, that is a very good question. Did you ask it in hopes of getting a reading or for the pure philosophical conversation that might sprout from that question? I’m curious.” he smirked at the newcomer, despite being a little surprised that he managed to get into the throne room when the castle was obviously closed for the day. He also wondered how many soldiers he’d lost because of that one person that needed answers to questions. “You could’ve just come when I had the throne room open for questions.” he said, this time annoyed. “You’re not the only one in a foul mood.” he pushed his hand a little down to draw attention to his sword, not to seem threatening or anything, more to just move. “But to answer you question[/b]” he spit the word out, clearly not in the mood to answer but decided it was best anyway. Hopefully the guy would go away that way. “I have no idea who killed the first Leviathan, nor am I interested. Now please, I really don’t have the time to spare on silly men chasing answers that have nothing to do with me. Leave and come again when my castle doors stand open for answer seekers.” he lifted his forearms up with his palms towards the ground to perform a shooing motion. What a brute…doesn’t he know how to knock a door and ask for the presence of the Master of this island? Alaric had been moving down the stairs towards the armory, when all of a sudden there was a great crash of doors that came from above. Most likely to be from the very throne room that he had left. It caused the Naga to stop in his place, though the bulk of his body was finding it difficult on the stairs. Twisting his torso a full one hundred and eighty degrees, his green hues narrowed and showed a nasty streak in the irises, whilst his tongue slithered out of his mouth and tasted the air. There was no mistaking that he could taste ash and smoke of all things, that came from a sudden burst of fire or flame. Was the King’s premonitions correct in that someone would dare to enter the island fortress and attack, or was the King burning the curtains out of boredom? The very tip of the Naga’s tail twitched violently, and then stiffened at the roar of the voice that belonged to a creature or man that he had not heard before. The jewel headed naga was taken completely off guard by what he heard, and knew that the King’s life might be in danger if he overreacted or even raised a blade in the presence of someone from what he presumed to be the Kingdom of Envy. Somehow the intruder had made it past the defenses, and not only that he had not heard the alarms being shouted and blasted from the battlements. With this knowledge, the Naga quickly headed back towards the throne room, his long muscular body pushing him along the stone floor. The snake like form weaving in an “S” pattern for better propulsion. As the first part of his body made the throne room entrance, he was shocked by the sight that had now shown itself. There was the King, just before his throne, the Genie of course, who was speaking of a golden gate, that was certainly not in the throne room when the naga had left. The being that had asked the question, the naga assumed – stood between the golden gate and the genie. Was this how he planned to deal with an unwelcome visitor? The first thing that the naga would do….rather than rise up and make some bold challenge, was to use his brain. If the visitor dared to turn his head and look back he would see the jewel headed naga rising up proudly behind the golden gate, its many coils now entering the room and forming beneath his torso so that he seemed larger than he actually was. Alaric was quick to test the air with his tongue, for other scents and smells in the air to ascertain if there were others present, but not showing themselves. All he could pick up on was Ikki…and Ikki alone. It was now a standoff. The naga was naturally on the defensive, but he saw no reason to make first strike. If the unwanted guest did attempt an attack, the naga would resort to defending himself….and the King if need be. But he did have one question, that had probably not been asked. Surely Pride didn’t think that Ikki was going to enjoy being taunted, by not just him but also his little minion, and then expect him to just leave peacefully; never to really care or return? If he did so, then he was more of a fool and child than Ikki had originally thought, and was about to be in for a rude awakening. 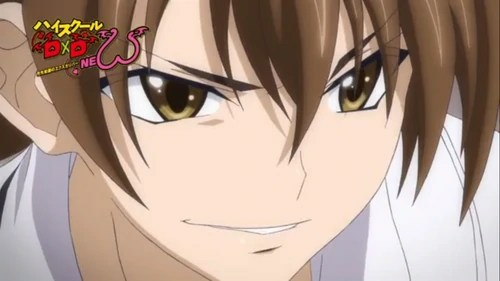 He kept what was possibly the best facade of calm in Hell as he listened to Pride and his little minion without any real concern as to what was about to happen thanks to the fact they seemed to be in too great a hurry to get Ikki out of the room without a fuss; like they actually had something to hide. Ikki scoffed at the portal, taking one, two, three, four steps before stabbing the portal with his sword, an eruption of demonic flames immediately occurring afterwards – therefore destroying the portal and incinerating the sands. Ikki had watched every motion made by Pride, easily keeping up with his speed as his face began to be covered by his mask as he rose his blade to make another slash, to incinerate both the minion and Pride himself; however, as his flames coursed down his blade he stopped at the sound of another voice and turned silently, looking back as he listened. 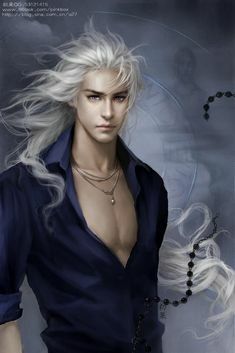 As Ikki responded to the Naga, his voice was laced with honest annoyance at the fact he had done nothing but deal with cowards all day, however, his voice echoed with a sinister note; it was enough to send shivers down the spine of even the coldest blooded creatures, as it sounded like he was mixing two voices in one. One demonic, one human. How would Pride and the minion reply? How would the Naga? No one could tell until it happened. In any case, why would they decide to attack us now of all times? To our knowledge the other so called rulers were to busy among themselves…why would anyone risk a campaign against us? or even worst, who would be suicidal enough to go through with it? It was all easy to speculate. To put meaning to dreams, or to associate sickening feelings with the dread of impending danger. The Prince needed to have his wits about him, not be further stirred by the likes of Salem – who unknowingly was only adding weight to the Prince’s suspicions and thoughts. 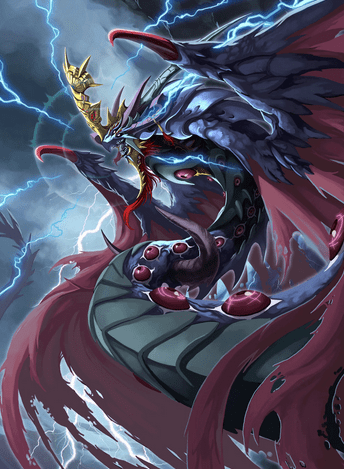 The nagas took to slinking into the background, as the arrival of the Prince’s other companion – Orimitsu. The Primordial dragon was known in all the realms for his enormous power and his intelligence was not something to be ignored. In fact, Alaric was hardly surprised by the Prince’s warm welcome to the dragon. Alaric simply nodded in Orimitsu’s direction and allowed him to speak freely. Especially when he mentioned about already having spies moving about in the outer realms on his orders. The nagas was on the money that intel was the best answer currently to confirm the harrowing thoughts that someone was planning to do the Prince in. Of course, Salem was not ready to give up in issuing further concerns and even questioned as to who might want to harm the Prince of Pride. The nagas may not have had the insight to read the minds of others, or see into the future – but he was more than happy to allay the Prince’s fears one way or another. The Nagas was trying to make a point, and continued, though he wanted to make one thing completely clear to all in attendance. Ah Orimitsu loved hearing the optimism of Salem so very well, and with the Prince having his knickers in a twist, things couldn’t get much more annoying to the Dragon; however, he wasn’t in the mood to really deal with the idiocy that would follow, and he didn’t understand the need to point out the fact that it wasn’t understandable as to why someone would target them. Since when did anyone in Hell care enough to make sense at all? Orimitsu sure as hell didn’t, he was a dragon, he did as he pleased and nothing more; however loyal he may be. Orimitsu was going to have to take Alaric’s side this time around. Orimitsu was being blunt about that fact, and wasn’t afraid to do it again if he so needed to do so, but it didn’t change the fact he wasn’t about to show mercy to the idiots that may challenge Pride. While Astaroth may be a child at heart and be the worst embodiment of Pride in the history of this damned kingdom, Orimitsu wasn’t the type to give loyalty without reason and his was slowly wearing thin. Perhaps that is what brought on his next words in response to Alaric. “A wave?” he sat up with his attention directed at Salem. He was aware of the connection genies had to magic, but he’d thought Salem’s connection was weak due to his situation. Perhaps the magical disturbance was that of such massive proportions that no genie would go without feeling it. Or Astaroth had simply been wrong. It certainly wouldn’t be the first time and probably not the last. He stood up again and placed his hand softly on Salem’s shoulder in an absent minded gesture as his mind had already wandered off to think of what might cause this shift Salem mentioned. He quickly drew his hand off the genie’s shoulder as he was walking towards Alaric and Orimitsu. “Alaric, friend,” he stopped by his side with a smile, “The day I ask any of you to die for me will be the day the me now would consider myself truly fallen. If that ever comes to happen, I wish Orimitsu take my life and the three of you move on to your own lives.” he turned to face Salem. “That day you will be free at last. I’ll somehow find a way to free you once your contract with me ends.” he said before spinning his body around to take the last remaining steps to Orimitsu. Knowing the dragon’s dislike for his antics, Astaroth took those steps in a bouncy manner and ended with his hands on the dragon’s shoulders as he moved around him as if he were dancing. “My dear friend, Orimitsu, I pray-“ he stopped himself. He’d come to dislike most words relating to the heavens since he’d been thrown out. Sometimes he avoided them like the plague, other times he just frowned at the sound of them. On rarer occasion he used them himself and usually managed to bring himself down by doing so. “I hope,” he corrected himself. “That the day you need to kill me never comes.” he winked on his way back to his throne. “No, I’m not surprised someone is coming. It is just the manner of which I am feeling and the vision that bothers me. I expected this would happen once I was given the title of pride and I’m rather surprised it hasn’t happened sooner.” he sighed and let himself fall down on the top of the three steps leading to his throne. “But it seems like these demons take more issue with women than they do with angels.” he shook his head. “It has been very long since I stopped trying to understand them and began trying to live in their world.” which wasn’t so difficult since he lived on top of a hill on an island surrounded by deep waters that could very well be considered an ocean in the human world. Not to mention the water dwellers and forty legions he had on land. Neither were many but all were powerful enough for Astaroth to consider him safe with them. “Orimitsu… You scout, what are you sending him after?” he asked, in thought. Alaric had only so much patience that he could muster during this meeting with the Prince. But after a while that was starting to wear paper thin. He didn’t wish to blurt out and say it, but it was already feeling like someone had in fact died, and they were at a wake. Why not just raise the black flags now and begin the period of mourning? Alaric had tried to use sense and logic to allay the Prince’s thoughts, but it had now gone way beyond that, and though Astaroth was waiting on word from Orimitsu about his spies, the naga decided that the time for talking had long since passed. As much as he would rather be in his secluded hideaway meditating, he knew that they had to prepare for war. Not stand around speaking platitudes as they waited their fate. Raising up, with his massive coils now moving to gain him extra height, the Naga could not hold back any longer. It was like the Naga was tired of the social niceties, and wanted the Prince to man up. To stop lounging on that all too comfortable throne and be entertained by his servants as though he was a boy at the circus. The Naga would be the first to make his move. At this, the Naga bowed, and excused himself. “M’lord….Salem…Orimitsu.” He acknowledged each in turn, before slithering out of the room – his long tail taking a while to actually leave the throne room completely. This would leave the three remaining to talk about battle strategies, and what news….if any from the dragon’s spy network. The Castle of Pride is situated on its own island in the middle of a vast lake in Hell. Astaroth was bored. In fact, he was extremely bored. But despite that, he was anxious as well. The pain in his stomach still hadn’t left and was slowly spreading up to his chest. He didn’t consider it a good sign. Chest pains were usually never good. But the boredom, there was nothing to do. He’d already ordered his legions to prepare and informed the serpents in his waters about the possible invasion that might be coming sometime soon or later or whenever. All he could do was let them know that they should expect it. He could give little else. He’d already made sure that his subjects wouldn’t visit with their small scale problems of land or fish or marriage or cheating. He was regretting that decision. He definitely wouldn’t be this bored if he hadn’t. He might’ve even had fun and forgot the pain in his stomach a little. The pain. It had started a few days ago and Astaroth had no idea why. All he knew he was hit in the head with the memory of that one rather annoying and painful vision at the same time it started. He suspected it was more than a happy coincidence. At the moment, he was sitting in his throne. A lavish chair on a small pedestal framed with curtains that Astaroth could fell every time he closed his castle for commoners. He was a nice prince, so he didn’t do it very often. He knew he needed to socialise with his people to have them like him to follow him. The throne room itself wasn’t all that big. It was really just a small part of the castle. Astaroth liked sitting in his throne simply because of the chair’s comfortableness, so he’d made sure the throne room wouldn’t be too large so that sitting alone in there wouldn’t be weird. The size of the room also kept the echoes to a minimum. There was nothing more awkward than the clanking of shoe or boot soles against the tiled floor while a person walked a long way in silence towards a seat with everyone else’s eyes on them. Astaroth had had a bigger throne room before. It was a big mistake. He’d changed rooms pretty quickly. Now the old throne room was a ball room and he had a new, much more comfortable, one. He was lying in his throne. Sort of. His cape and his stomach were crinkled and Astaroth was making funny faces to pass the time. Funny faces could only keep him occupied for so long though and soon he was covering his face with his hands and complaining loudly. “There’s nothing to do~!” usually there weren’t echoes, but Astaroth had moved the curtains so that they didn’t prevent the echo like they normally did when they were down around the sides. He’d done that for the complaining. Since he was alone in the room, he could laugh about the echoes as a child would. Boredom brought his humour down a few levels. He giggled like a school girl when the sounds bounced of the walls and back to him. One might think he was far beyond normal drunkenness by now. But he had had nothing to drink. Master…what might you be doing if you don’t mind me asking? The last part, a through that he forced to the back of his head only to don’t laugh, as he watched Astaroth, hoping the prince wouldn’t do anything even weirder that would cause the genie to break the mask and just laugh. He had a bet with another servant that he could spend at least the next hundred years without a single solitary giggle coming out from him and he damn well expected to win it! Another part of the castle that was shielded by giant trees, was a sacred place where Alaric came to meditate and reflect. It also gave him the solitude he needed to think. Deep beneath the forest green foliage there was various statues, that were in a circular formation, the center of which had a large symbol that was made out of stone, but the spaces between were covered in a fine moss. In the midst of this setting, Alaric was seated. However only part of him was in a human form, the rest was that of a large coiled snake. The size of the coils was colossal, and so richly coloured he was truly a magnificent sight. He wore on his torso nothing but a silken vest that was adorned with metallic designs that ran along the edges. Most notable was the large jewel centerpiece that was embedded in his forehead. With his elbows pointed outwards, his palms touching together – fingertips in perfect alignment, he was the embodiment of spiritual energy and reflection. Alaric chanted in a whispered hush with his eyelids closed. The edges of his eyelids eyes were painted with a black dye, that set off his dark skin. It was more than just sun kissed. Alaric enjoyed receiving the filtered rays of light that came down through the gaps in the trees and illuminated his entire being. There was nothing Alaric liked more than this moments of seclusion, where nothing or no one could disturb his peaceful state of mind. Nagas were usually solitary creatures, so it was unusual for him to serve a Master. But then again, there was no other Prince of Hell quite like Astaroth. Alaric had been in the Princes service for as long as he could remember. His right hand man, one could say as the Prince of Pride had a soft spot for serpents and creatures of his nature. A day like any other. That is how it started and the religious practice of meditation was going as per normal. That was until the sounds filtered through from the palace that someone was up. Slowly, one eyelid opened and the eye darted to the direction to which the sound came from. Alaric stopped his chant and lowered his hands to his sides, while he turned his torso towards the palace proper. The owner of that voice was well known to the nagas, and he knew now that his morning ritual was over. Only a fool would keep the Prince waiting, when he had obviously opened his curtains in the main throne room to alert all of his boredom. “No ressst for the wicked.” Alaric thought as he raised up like a king cobra and then began to slither from his sacred site to make his way towards the palace as quickly as he could. On arrival, it seemed someone else had beaten the nagas to the punch. he could hear his questioning tone as he slid in through the doors. Oh….it was the Genie. Trust him to be at the Prince’s side so soon. “I was about to asssk the sssame thing, Sssalem.” Alaric’s tongue slithered out each time he said ‘s’, his eyes narrowing to slits as he stared at the all too stony faced Genie. He often thought there was a lot more to that creature and would be wise not to take him at face value. Truth was, the nagas didn’t trust him one bit. Then again, he didn’t trust many at all. Trust, like respect had to be earnt. The Nagas bowed ever so politely, as its long tail took its good time in entering the room completely.